The property located in residential and commercial area of Toul Kork. It has been used as office and warehouse, the property can be redeveloped to high rise. 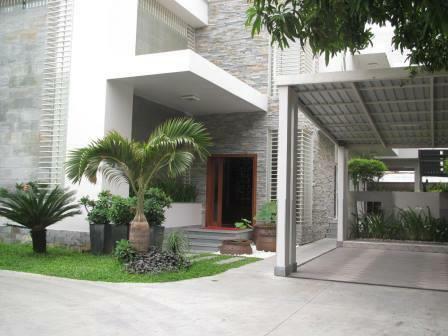 This property can use for Residential, Commercial Retail and Commercial Office. Brand New Service Apartment Which is located near Russian Market open layout 1 and 2 bedrooms very Bright well equipment convenient location and safety. 2 months deposit for 1 year lease term. Brand new serviced apartment complex is in secure area, BKK1. Each unit furnishes with hard wood equipment and shiny tile flooring. There are one bedrooms, two bedrooms and Penthouse options. Western designed four bedroom Villa in Ideal Home, the most secure compound setting. The compound is featured by Western Restaurants and coffee shops. *Lease term: Available from 1 year with 2 month deposits. The property is ideally suited for use as F&B offering, Bar & Lounge or retail operation. 6th Floor Four bedrooms apartment For Rent Located in Chroy ChongVar . Lease Term 1 year 1 month deposit. The apartment is done a very nice interior. The location is in the heart of Phnom Penh City, the most desirable area for living. Beautiful one bedroom apartment on 4th floor of shop house property. The apartment is done renovated and under occupied till June 2016. Completely New Two bedroom Duplex Apartment. This highly impressive green development in Phnom Penh with 36 Ha land area, consists of 1,418 condominium units, 224 shop house units & 630 villas. The project provides a convenient and desirable compound for living. Offering unprecedented facilities in Phnom Penh including swimming pools a beach terrace, The Orkide Royal gardens and a 30,000 sq.m. shopping mall & roof garden of 32,00 sqm. Now on offer from as low as $1,5XX per sqm on net area providing attractive and affordable payment schemes. One and Two bedroom apartment locates in the prime area which is just 5 minute walks to Aeon mall , close by restaurants and international school. Lease term from 12 months with 1 month deposit. The Fully Furnished Serviced Apartment locates in the expat friendly Riverside. The Serviced Apartment is come with fully fitted kitchen, utensils and laundry machine. There has a balcony which faces to the street that can be put the table and chairs. The 1 bedroomed apartment is proximately 70sqm consists of sizable bedroomed with sliding door, fitted wooden wardrobe and 2 windows. The 2 bedroomed apartment is approximately 130sqm, duplex style. The first floor is master room, living room, kitchen, bathroom and balcony. The upper floor is the second bedroom and a small outdoor space that can be put a study desk and chairs. At the ground floor of the whole building there has a big lobby for guest visitors come to visit the tenants. The Serviced Apartment is provided with comfortable parking spaces at the ground floor with 24 hour security on site. The lease is available from 12 months with 2 month security deposits. A Brand New Office Building in good location of BKK1 , willing to rent floor by floor ( Approximately 540 SQM Per Floor). The Building located in the heart of BKK1 , Chamkar Morn District which is nearby the Restaurant, Retail Shops, Hotels, Residential and Embassies.